001) Wait...what....is it really the middle of March? I'm clearly having too much fun this year as time is just flying by. Or am I just getting older? 002) On Tuesday, I went back to Cue Barbecue with my friends. Still loved it this time around although I think I may have ordered slightly too much. I'll know for next time! You can see my post all about it here . 003) This week, I also treated myself to a new black tote bag from Topshop which will be featuring in an upcoming blog post. I absolutely adore it as I can fit practically anything in it. 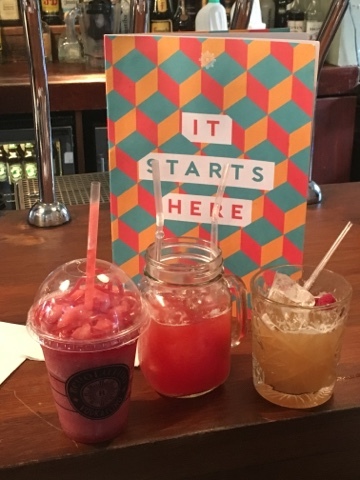 004) In addition, I also attended a cocktail making event at Revolution Bar in Aberdeen earlier on today. It was absolutely amazing and I think everyone picked a different cocktail to make. We were also treated to samples of their food from their menu which was all really tasty (and very filling! ).